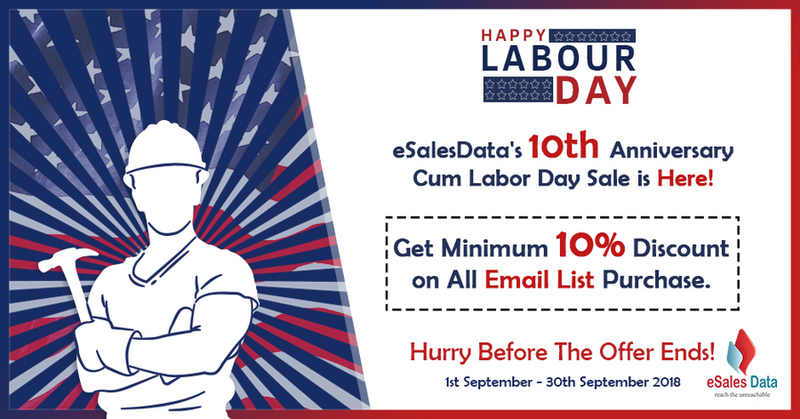 The celebration of workers becomes even more special with eSalesData’s 10th year anniversary sale. Avail minimum 10% discount on the purchase of wide range of email lists. FREMONT, CA, August 31, 2018 /24-7PressRelease/ — As the Labor Day in the United States is approaching, eSalesData is ready with exciting offers for the customers. The celebration of workers becomes even more special as the marketing database provider is celebrating its 10th anniversary in this year. So, clubbing both the occasion, the company announces a minimum 10% discount on the purchase of its wide range of email lists from 1st to 30th September. “This year is the year of celebration as we are having our 10th anniversary. Hence, as part of it, we wanted to thank our customers with special offers. And for the purpose, we chose Labor Day occasion to put up a combined discount. Labor Day brings in weekend-long holiday for the Americans. Customers are showered with great online and offline deals. Like every year, we wanted to make the celebration remarkable for our B2B Database. Our attractive deal is just a cherry on the cake that will be beneficial and serve many purposes,” says Tony Huff. As a provider of authentic and high-quality marketing data, eSalesData has been in the market for ten years. The company offers customized emails lists for multichannel campaigning across the B2B industry. 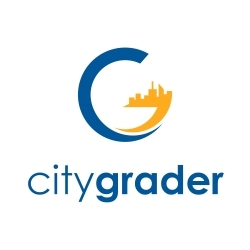 Along with rigorous data solutions, the company also offers support service such as data cleansing, profiling, data licensing, data appending, reselling services and online marketing guidance. Going with market need, eSalesData is now offering GDPR services to help businesses meet data compliance challenges as set by EU’s new data protection regulation.